Every perennial gardener wants a showy display of flowers all season from spring to fall. Here’s how to get it. Follow this guide for your best perennial garden yet. Many flower gardeners desire a nonstop continuous display of flowers from spring to fall using perennials. To achieve that, you must pay attention to sequence of bloom and design the garden with an assortment of different perennial plants that will bloom one after the other from spring to fall. So, to achieve color in the garden all season you need to plan your garden design using flowers that will bloom one after the other, beginning in spring and continuing to bloom through summer and finally finishing in the fall. There are so many different perennials to try. It is difficult to limit the selection to a short list. However, most gardeners find that a certain set of plants become the backbone of their perennial garden and depend on them to provide reliable color and blooms year in and year out. Which ones grow best for you will depend on where you are gardening and the microclimate and other conditions in your garden. But, here are a few that tend to be steady performers and are generally worth considering. and the many minor bulbs such as Iris reticulata, Chionodoxa, crocus and of course daffodils (Narcissus). When planning your perennial garden design, keep in mind the cultural needs of each plant in addition to the approximate time of year it will bloom. Follow the guiding principle of “right plant, right place” to group your plants according to sun or shade, dry soil or damp soil, and any other special needs. Then arrange each group to provide a pleasing sequence of bloom or to orchestrate combinations of flowers that bloom at the same time. This type of fine tuning can take several years to achieve the desired results, mainly because the time frame when your plants will actually bloom in your garden depends on the weather each year and the microclimate where they are planted. You may also find it helpful and rewarding to place your perennials in a mixed border planting. This would include not only perennial flowers but also flowering trees and shrubs and annuals, as well. You might even include a few flowering vines for added color. As you plan your perennial garden for all season bloom, also keep in mind the following general Flower Garden Tips. 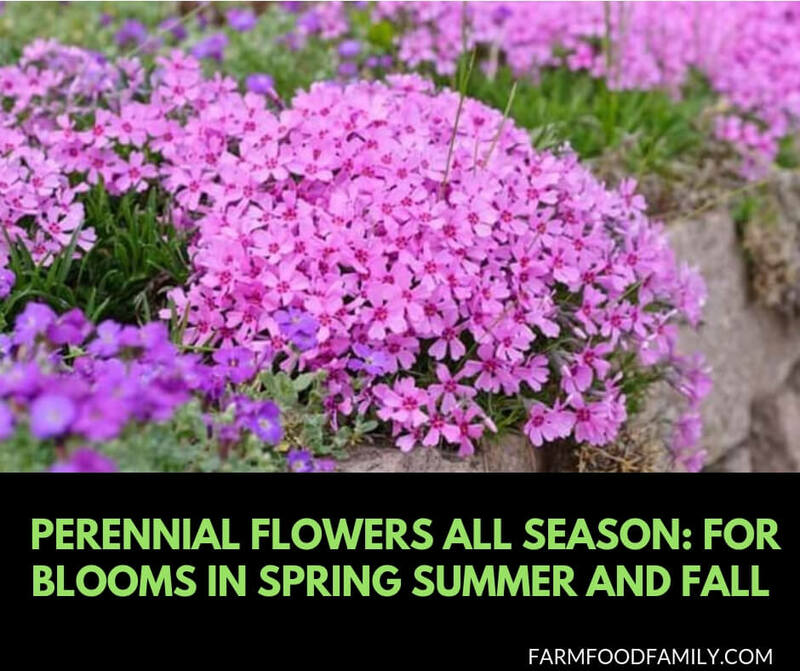 Whether you plant in a mixed border or in a perennial flower bed, with careful selection and skillful placement you can certainly have an ongoing non stop display of perennial flowers from spring through fall if you follow these guidelines.